14 August 1945. With the Japanese cabinet and Supreme Council both still split on surrendering to the Allies, Emperor Hirohito breaks the deadlock with his personal decision to accept the Allies’ terms. This acceptance is signalled to Allies. Anticipating military resistance to this decision, the Emperor dispatches members of the imperial family as emissaries to key commanders in the field. They will carry copies of the Imperial Rescript on the Termination of the War, which is drafted during the day and recorded by the Emperor for broadcasting to the nation next day. 14 August 1945. Late in the evening, a group of junior military officers led by Major Hatanaka Kenji succeed in entering the Imperial Palace in an attempt to prevent the Emperor’s surrender speech from being broadcast. The hidden gramophone record is not found. Despite their links to highly placed opponents of the surrender, by early morning next day their attempts to rally support against the Emperor’s decision have failed. 14 August 1945. Lacking a response from Japan and suspecting it is about to launch a last suicidal attack, American forces launch a massive bombing operation throughout Japan, killing thousands and destroying the country’s last operational oil refinery. 14 August 1945. On returning to Jakarta from Dalat, Sukarno and Hatta first hear about the bombing of Nagasaki and that Japan is on the point of surrender. Days of intense discussions follow about the transition to independence. With news arriving of the Emperor’s surrender speech, leftist youth leaders (pemuda) try to persuade Sukarno and Hatta to bypass the Japanese administration and make a ‘revolutionary’ declaration of independence. 14 August 1945. Son Ngoc Thanh becomes prime minister, the first in Cambodian history. He assembles a new, largely unaltered cabinet and calls for resistance to France. 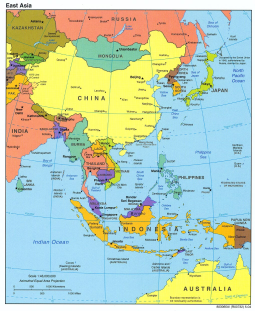 Next day, in a wide-ranging speech, Thanh calls for continuing co-operation with Japan and with the ‘yellow skinned’ (jaune) inhabitants of Southeast Asia. The following week, Thanh’s proposal of ‘moral resistance’ to France is unanimously approved in a cabinet meeting. 14 August 1945. Thai officials learn via a radio broadcast from San Francisco that the French government will object to Thailand’s application for membership in the United Nations, since it regards itself as being at war with Thailand. 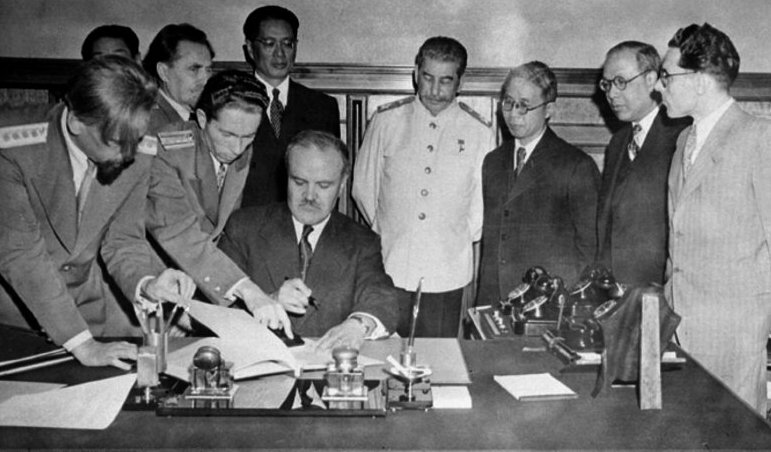 The USSR also announces its intention to object unless official Thai–Soviet relations are restored. 14 August 1945. Upon receiving long-awaited formal Japanese agreement, Emperor Bao Dai proclaims abrogation of the treaties signed with France in 1862 and 1874, thus formally making Cochinchina a part of Imperial Vietnam. Nguyen Van Sam receives credentials as Southern Region Imperial Delegate, locates sufficient fuel for his automobile and begins the potentially perilous drive south. The same day in Saigon, Japanese officers are present at both the formation of a National United Front of groups opposed to the French return and an impressive ceremony of 50,000 Vanguard Youth dedicating their lives to the nation. On the 16th, the Japanese authorities begin handing over offices to the United Front. However, when Vanguard Youth then hijack a huge arms convoy, on his arrival in Saigon Nguyen Van Sam urges the Japanese to arm other groups less influenced by communists. 14 August 1945. In return for Soviet pledges of moral support and military aid given solely to the KMT regime as the central government of China, plus undertakings on Chinese sovereignty and territorial integrity, Chinese envoys reluctantly sign a Treaty of Friendship and Alliance in Moscow. This grants the Soviets effective control of Dairen and Port Arthur along with extensive concessions in Manchuria. China also undertakes to recognize the independence of Outer Mongolia in its existing boundaries (i.e. Inner Mongolia is to remain part of China), subject to a positive referendum result. 14 August 1945. Chiang Kai-shek sends the first of three cables wired to Mao Tse-tung over a 10-day period, inviting him to talks in Chungking. In response, Mao insists that CCP forces should also accept the surrender of Japanese troops and the Party should play a leading role in a future coalition government. Mao says that he sees little point in formal negotiations if Chiang cannot take these two positions into serious consideration. 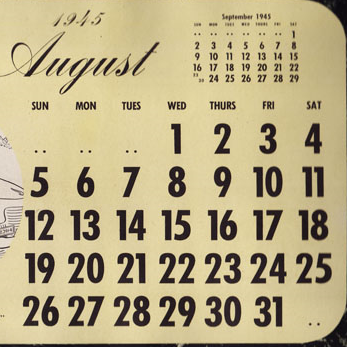 14 August 1945. In former Manchukuo, Mongol leaders Hafungga and Buyanmandakhu form a Committee for Inner Mongolian People’s Liberation. Working together with the Soviet–Mongolian Army, they soon establish a guard corps consisting of former cadets of the Hsingan Military Academy to maintain security in Wangin Sum, the centre of Mongolian administration under Manchukuo.